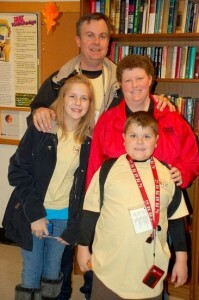 Meet families impacted by Inheritance of Hope! Kim Bunner said living with cancer for more than a decade has given her perspective. The illness brought her closer to her husband, Matt, and showed her children, 15-year-old Haylee and 12-year-old Cameron, how to be considerate, Kim said. “You hate to say that something that is so hard on a family is a blessing,” she said. Kim was diagnosed with breast cancer in 2001, when Cameron was six months old. Mikki Jeschke’s goals include volunteering, fundraising, and launching a non-profit organization. But the mother of two from Fishers, Indiana, didn’t have these projects in mind when she attended the Inheritance of Hope Legacy Retreat® at Disney World with her family in May last year. Tricia Lillard calls her experience with cancer an emotional roller-coaster. Bambi Byers, 40, said the Tim McGraw song “Live Like You Were Dying” sums up everything she could say about her husband, Marc, who passed away in March 2011. “It was my husband to a ‘T,’” she said. 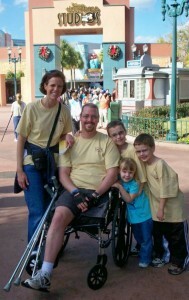 Marc was having trouble swallowing in June 2009, and a few months later doctors discovered a tumor in his esophagus. Bambi said Marc didn’t listen when he was told of his 25% chance of survival. 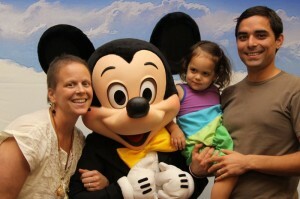 Amy and Adam Patwa attended an Inheritance of Hope Legacy Retreat® in Orlando with their daughter, Charis, in May 2012. She was diagnosed with stage III breast cancer in summer 2010, but chemotherapy and radiation appeared to control the disease in a matter of months. In spring 2011 Amy started having chest pains. 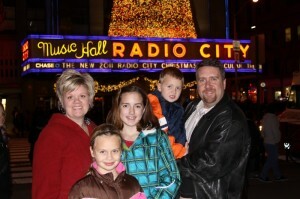 Jenifer Sisco, a teacher and mother of three from Midland, Michigan, was diagnosed with stage IV breast cancer in May 2011. Then came Jenifer’s first surgery after the diagnosis. “The news we got was worse than we expected,” said Michael, Jenifer’s husband. The surgery and further testing showed cancer had spread to Jenifer’s bones. “It was complete shock because of how young I am and the fact I have young children,” Jenifer said. Kassandra Spears has battled cancer for most of her life. The 44-year-old mother of two from Port Lavaca, Texas, discovered a melanoma spot on her neck at age 15. She underwent surgery and appeared to be cured. Two decades later, Kassandra had married her husband Andy and was caring for her two kids, 12-year-old Ashley and 9-year-old Steven, when cancer came back in 2008. Today we grieve the death of Kristen Milligan, co-founder of Inheritance of Hope. Kristen died on Friday, October 26, 2012. Hers was a life well-lived. After retiring from her first career of training guide dogs for the visually impaired and deaf-blind to become a full-time mom, Kristen was diagnosed with a rare liver cancer in stage 4 on March 18, 2003 -- her 30th birthday. For the next 10 years, Kristen was dedicated to helping families navigate life-threatening illnesses, beginning with her own children. She wrote A Train's Rust, A Toy Maker's Love to communicate about illness and death with her then four-year-old daughter Ashlea, two-year-old son Luke, and seven-month-old daughter Rebecca. She wrote another book for children and one for adults about her experiences. Kristen also was a poised speaker who shared her story with audiences around the United States and internationally. Russ Tripp and his 27-year-old son, Jeremiah, are active members of the Inheritance of Hope community. Jeremiah has volunteered at three Legacy Retreats®, and Russ gives testimonies at IoH events. Both say Inheritance of Hope has deeply impacted their own lives, inspiring them to volunteer and share the experience with others. 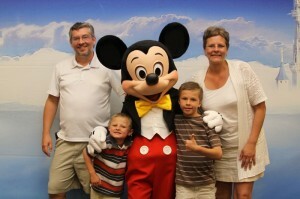 When the Fortin family from North Carolina -- Steve, Maureen, and their three children -- attended the Inheritance of Hope Legacy Retreat® at Disney World in January 2011, Steve was in good health. “He often says he feels funny because he was the healthiest sick person there,” Maureen said. Steve uses a prosthetic leg after an amputation due to a sarcoma tumor.